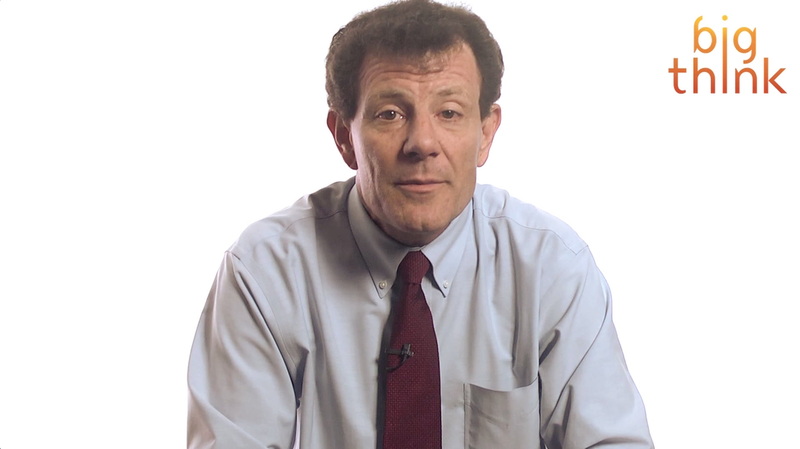 Pulitzer Prize-winning journalist Nicholas Kristof discusses the importance of a compelling narrative that appeals to human biases when promoting a good cause. "You know this arose for me, this research arose when I was writing for my column for The New York Times about Darfur back in 2004. And I was going to villages that had been burned out, talking to people who were survivors of massacres and it was frustrating me that I couldn’t get people to pay more attention to this. Meanwhile at that very same time here in New York City there was a red tailed hawk called Pale Male that had been kicked out of its nest in Central Park and New York was all up in arms about this homeless hawk. And I thought how is it that I can’t generate as much passion about hundreds of thousands of people being slaughtered as people feel for this hawk." So why do people flock toward a cause like Pale Male's yet ignore something as large and devastating as genocide in Darfur? Aside from the power of novelty, Kristof discovered through the research of Dr. Paul Slovic that people are attracted to a cause by two things. First, the opportunity to make a connection with another individual. Second, the existence of a positive arc to demonstrate one's impact. Basically, if you want to get people invested in a topic, it takes a riveting story featuring a singular protagonist to get them hooked. "So when aid organizations talk about five million people at risk and make it sound terribly depressing, they’re precisely hitting the buttons that turn people off." Kristof tells of how a group like Save the Children will ask donors to contribute toward the plight of an individual (in this case, a West African girl named Rokia) rather than contribute to assist a group as a whole. "The moment you added not just Rokia but had a boy next to her and said you can help these two hungry kids, then people were less likely to contribute than if it was just Rokia. Likewise people are less willing to contribute to a fund to save kids from cancer if the same amount of money is going to save not one life but eight lives. Really it’s this bias to help an individual." So in order to make an impact on the world, you need support. In order to obtain support, you need to tell a compelling story. And according to Kristof's research, a compelling story consists of individual connections and an opportunity for supporters to bring about positive change.